Robert Sullivan, In The Alleys With 'Rats' Robert Sullivan's Rats: Observations on the History & Habitat of the City's Most Unwanted Inhabitants chronicles the year he spent studying alley rats in New York City. He says you'd be surprised at what picky eaters they can be. "Rats teeth can bite through metal and concrete. There's a scale called Mohs Scale of Hardness, and they're a 5.5. And that's better than steel." Author Robert Sullivan says he has a tendency to gravitate toward "places that nobody else wants to go to" — which might help to explain how he ended up spending a year studying rats in the darkest, dankest byways of New York City. 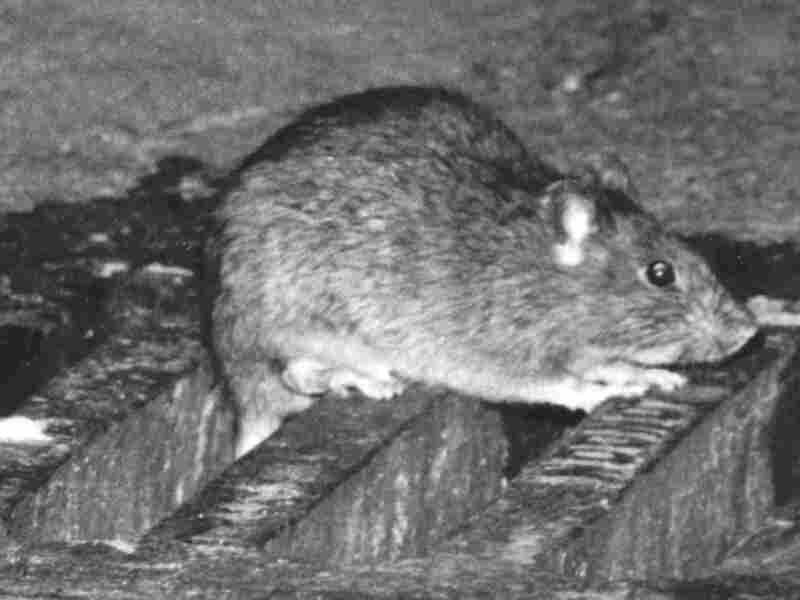 His book Rats: Observations on the History and Habitat of the City's Most Unwanted Inhabitants chronicles his back-alley adventures. He explains to Fresh Air host Terry Gross that contrary to popular belief, rats can be picky about what they eat. "A rat might starve in an alley full of raw carrots" Sullivan says. "Rats, generally speaking, are not crazy about vegetables." Sullivan also discusses the surge of interest in rats after September 11, amid fear of bioterrorism attacks involving diseases such as the plague. "They put out poison all around the World Trade Center to try to stop a huge explosion in the rat population," he says. Sullivan is the author of the critically acclaimed books The Meadowlands and A Whale Hunt. He's a contributing editor to Vogue and a frequent contributor to The New Yorker. This interview was originally broadcast on April 1, 2004.